New York City, New York, June 6, 2017	(Newswire.com) - Fanpictor was named ‘runner up’ in the Hype Foundation’s Global Sports Innovation Competition, held alongside the UEFA Champions league final in Cardiff. The top ten innovative sports start-ups were chosen from hundreds of applicants to present to a panel of technology and sports experts. The jury was led by Mr. Bernd Wahler, ex-Adidas CMO and President of VfB Stuttgart, and included executives from Amazon, Adidas, IBM, UEFA, Microsoft, SAP and FC Barcelona. HYPE Foundation's CEO, Amir Raveh, noted: "This event demonstrated the near future — where innovation will be integrated as a natural part of any football game and will enhance all aspects of it! I'm thrilled to celebrate the future of sports with top startups and industry leaders that push for this change to happen." Fanpictor is a Swiss, cutting-edge technology company that develops innovative digital and on-site fan engagement solutions for both brands and rights holders. They create thrilling, fan-driven experiences that help build durable links between fans, teams, rights holders and brands. Fanpictor's digital toolbox allows their clients' marketing and creative teams to develop unique campaigns specific to a single event or a series of games and collect commercially validated data to assess the success of their ideas and level of engagement with different demographics. All Fanpictor solutions are 100% white label. Fans can access them through a specific event app, or they can be embedded within an existing brand, league or team app. To find out more about fan engagement and marketing analytics, please visit www.fanpictor.com. The HYPE Foundation formed the largest sports innovation ecosystem with over 20,000 leaders and key decision makers in the field of sports, including sports and tech global brands, academia, investors and startups. HYPE initiates global competitions, teaming up with Google Asics, Microsoft, and Sky Sports, among others. 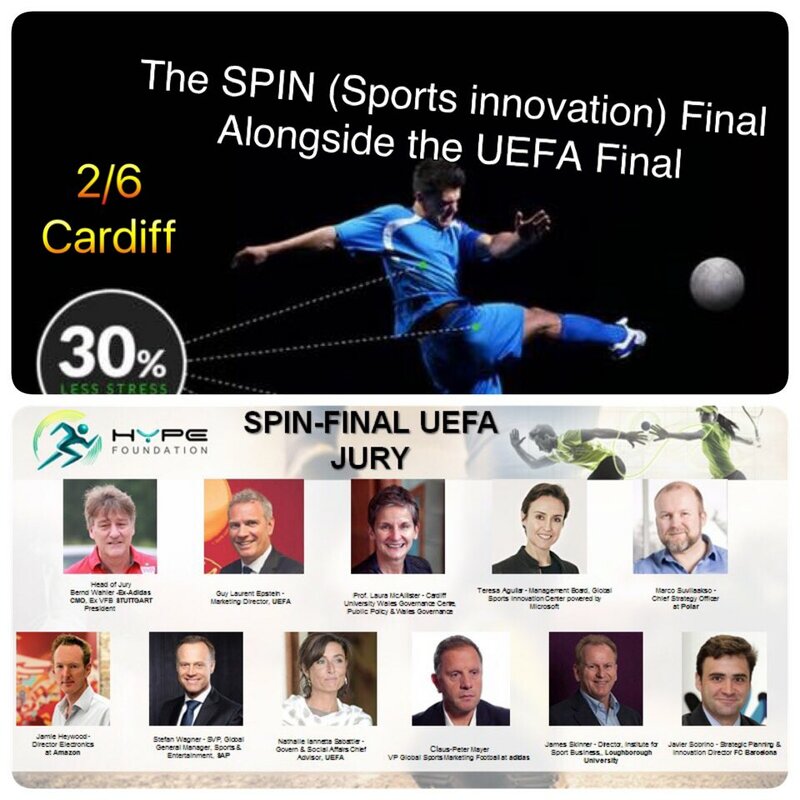 In 2017 HYPE Foundation will conduct 6 global Sports Innovation (SPIN) Finals alongside major global sports events, acceleration programs, running the TOP 50 Program, that incorporate the most innovative startups in the world of sports. HYPE Foundation is the impact division of MG Equity partners, (EMGI), a British investment house, operating since 2003, a Member of the IHUB.EU — A European Union organization. For more information, visit www.hype-foundation.org.